The Two Oceans Aquarium in Cape Town is all about fun and entertainment, for adults and kids alike. See over 3,000 creatures, from the smallest species to yellowfin tunas and sharks. A Must-See! With more than 3,000 creatures on show, the Two Oceans Aquarium provides a diverse showcase of Atlantic and Indian Ocean marine life. Explore different underwater species from the Ocean Basket Kelp Forest, which also showcases the unique kelp that is found on Cape Town beaches. Check out what sea life looks like under a microscope, and explore the Indian Ocean. View mesmerising exhibits that features the dazzling colours of its fish, translucent jellies, shy octopuses and Knysna seahorses. Make a point to check out the new I&J Exhibit, a 10-meter long tunnel that gives a peek at a variety of subtropical species. The Two Oceans Aquarium was first opened in November 1995. While the aquarium is all about fun and entertainment, it is also devoted to education and conservation for a number of species of marine life. The staff are involved in a number of important tasks around Cape Town, including freeing seals tangled in litter, assisting injured or stranded starfish and conducting research on harmful fish parasites and other health problems affecting aquatic life. In fact, many of the aquarium’s animals were rescued and are either recuperating from injuries or trauma, or can either no longer live in the wild. Cape Town boasts two oceans – the Indian and Atlantic. This offers even more aquatic exhibition possibilities at the Two Oceans Aquarium.If you visit around at midday, be sure to watch the animals being fed in the I&J Exhibit. It’s a serious frenzy of animal activity! Once you’ve had your fun wandering around the aquarium, pop down to the nearby V&A Waterfront for a stroll or meal along the water’s edge. 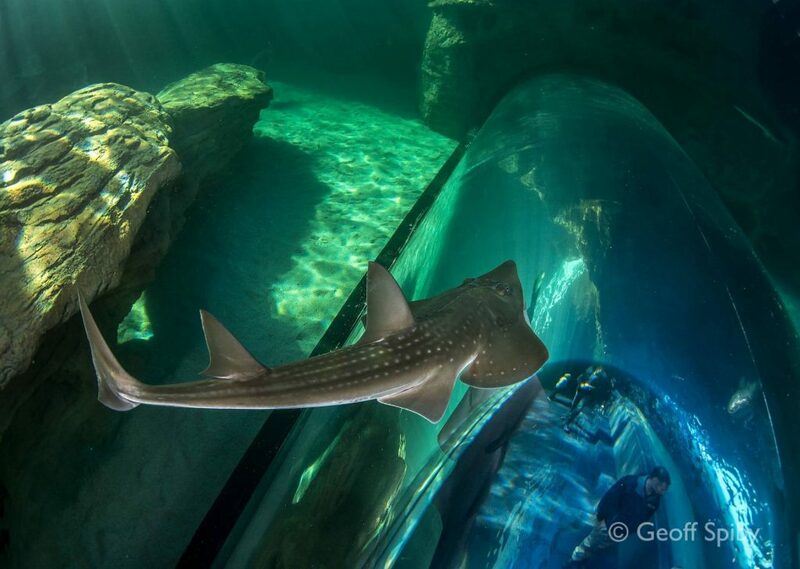 The Two Oceans Aquarium is home to a few species that aren’t found at any other aquarium in the world. Among these are the strange, serpentine hagfish. An eel-like fish, it can produce as much as five litres of slime when it’s scared.It’s an ancient fish that doesn’t have eyes, fins or scales, than can only be viewed in Cape Town!